Tina Matthies, the step-daughter of Jacob Reimer, was born on an estate in the Kuban. In 1911, she travelled to Germany where she attended a specialized school for a year. In 1917 the Reimer estate was plundered by the red army. Tina Matthies, with her brother Isaak Matthies and his family, emigrated from the Kuban, Russia to Mexico in 1924. The Mexican settlement was not satisfactory so after two years, most of the group immigrated to Canada or the United States. The Isaak Matthies’ family moved to a farm in Manitou, Manitoba. Tina Matthies found a job at a sanitorium for tuberculosis patients in Ninette (near Black Creek, Vancouver Island). After a year, she became ill and came to the Maedchenheim in Winnipeg, run by Anna Thiessen. She died in 1928 in Winnipeg. The Tina Matthies fonds probably came to Centre for Mennonite Brethren Studies in the 1970s through Mrs. Wilhelm (Anna) Dyck niece, of Niverville, Manitoba. 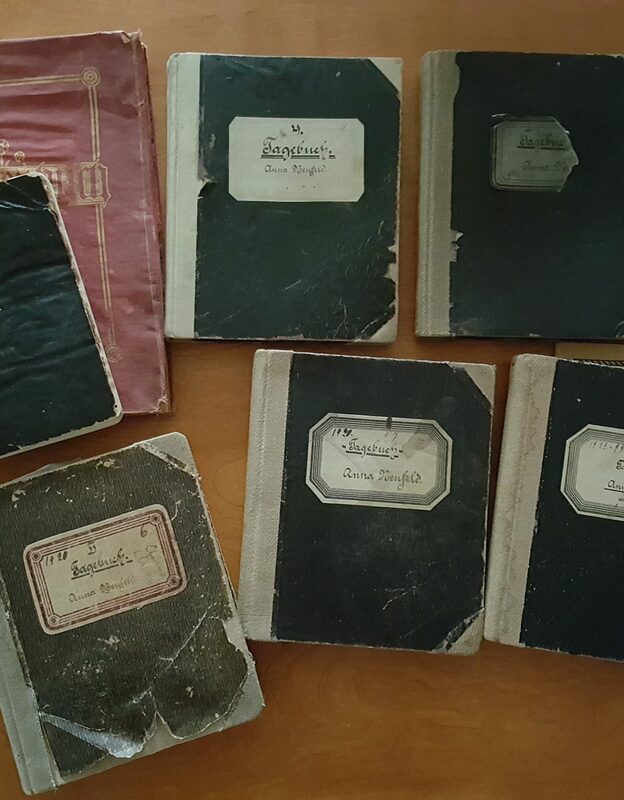 The Tina Matthies fonds consists of a photocopied German travel diary, written by Tina Matthies, relating events from 1924 and 1925 while she was travelling from Russia to Mexico and her experiences in Mexico. Also in this fonds is a life story of Tina Matthies which includes a description of Jacob Reimer’s estate in the Kuban. Finding aid: Small collections M, file 13. 13:1 Diary of Tina Matthies. – 1924–1925. 13:2 Life story of Tina Matthies. Three pages.